Losing weight is not an easy task as it is said. It is tough. Cutting down on one’s diet does not help if you keep on eating foods that are unhealthy. Along with exercising, the diet should be proper. One way to insure you get the right dosage of vitamins and minerals is by taking natural supplements that aid in weight reduction. These promote fat burning instead of fat collection in the cells. They get fat processed into energy along with bettering your metabolism by a right amount. If you are trying to find some reliable natural weight reduction supplements, then you are at the right place. Here are some natural weight loss supplements that are of help to you. Calcium is a mineral that aids you in removing fat. Known for strengthening bones, an intake of calcium is found to benefit in weight reduction as well. 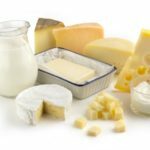 Calcium is stored in the cells of the body that take in fat for processing. It encourages the body cells to burn more and more fat instead of accumulating it. It also prevents fat from being drawn into the bloodstream by sticking to fat cells in the GI tract. This way, it prevents fat from being collected inside the cells and the blood, and hence aids in weight loss. 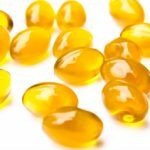 Vitamin D is another one of those natural supplements that can help you cut down some of the fat. When there is a lack of Vitamin D in the body, parathyroid hormone (PTH) in the body increases. PTH causes fat cells to convert sugar into fat and collects fat in the body instead of letting it go to get processed and burned. Further, decreased vitamin D also causes leptin to function improperly. This way, leptin does not do its job of indicating your brain when you have had enough food and are full, so you keep eating. Intake of vitamin D will insure that your fat gets processed instead of jamming into more and more layers by making sure insulin forces glucose into your cells that burn fat. This way, fat does not collect in the body, but rather gets processed into energy. This is how vitamin D as a natural supplement is helpful when it comes to weight reduction. Polyphenols also help in keeping the weight off. You would have probably heard of how green tea helps in reducing weight. Someone might have suggested you this option. This is because green tea contains polyphenols. So the credit goes to these polyphenols. Polyphenols have several health benefits. One of these is that it increases metabolism in the body substantially. It enhances the rate of metabolism in the body significantly and also prevents metabolism syndrome, an issue in which metabolism is slowed in the body. It causes the cells to release heat by wasting the fat in them. This is why green tea is drunk in the winters. It literally makes one feel warm. It also fills up the tummy and thus reduces your urge to have a snack. This is how polyphenols help in chopping off fat cells in the body. These also assist in cutting down on fats. 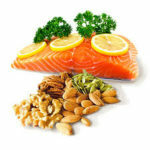 Omega-3 fatty acids prompt the enzymes that enforce burning of fats in the cells. This way, more fat is processed into energy rather than being accumulated in the cells. Omega-3 fatty acids are found in coconut oil, salmon fish, etc. These also improve the mood and make one feel less blue which in turn is helpful in stopping emotional eating. They also develop signals sent to the brain by leptin. Leptin tells the brain when you have eaten your fill and needed to stop. 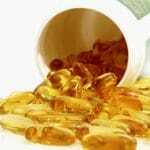 This is how omega-3 fatty acids help in losing weight. PhenQ is an all-natural weight loss supplement. It is a combination of many helpful ingredients. 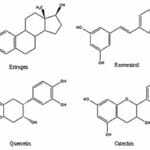 Taking PhenQ has quite a few advantages when it comes to reducing weight. 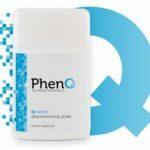 PhenQ burns the fat that is collected in the cells of the body. This way, the fat accumulated is converted into energy and burned off. Other than this, it also helps in preventing fat creation. PhenQ also makes metabolism in the body better. It is a mood improver too. So in this way, it saves one from digestive problems and emotional eating too. This is how PhenQ contributes to weight loss. 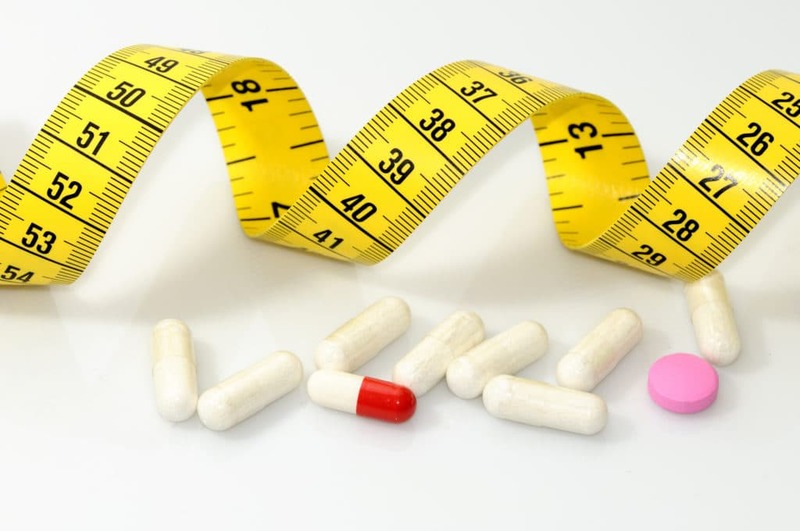 It combines the efforts of many natural supplements into one pill that aims at reducing weight. Conjugated Linoleic Acids are also useful when it comes to weight reduction. These also help in letting glucose inside the cells for being burned. They make sure fat is burned into energy rather than being collected inside the cells. They especially help in burning fat that accumulates in the muscles. This way, they contribute in dropping some pounds. Fucoxanthin is a natural supplement that attacks only the fat in the body. Paired with regular workouts this supplement does wonders. Since it only takes down fat, there is not an overall reduction in weight. Only the fatty areas of the body are worked on by this supplement. It helps by burning, in particular, the stubborn type of fat that collects and just does not go away such as the fat that lies with abdomen. Proteins are yet another option if you are on the lookout for natural supplements to help you reduce weight. They insure the body remains in shape by appropriately distributing fats. Proteins increase strength and reduce weight. They assure proper muscle mass. It keeps a check on all this. Studies show that people with a diet of more proteins have a lesser weight than those who consume fewer proteins. Probioslim Review – Is it Worth Purchasing for Weight Loss?